THIS WEEK’S OTHER FEATURED BOOKS, “BLUE COYOTE MOTEL,” BY DIANNE HARMAN, “WHAT YOU ARE NOW ENJOYING,” BY SARAH GERKENSMEYER, “THE THUNDERING,” BY MEGAN DAVIDSON AND “SHIFTING BORDERS,” BY JESSIE KWAK, CAN BE FOUND BY SCROLLING DOWN BELOW THIS POST OR BY CLICKING ON THE AUTHOR’S NAME ON OUR AUTHOR PAGE. SUMMARY: Ellis Mazer is a soon-to-be father, a first year English teacher, and a directionless twenty-something in a directionless Arkansas town dealing with the disappearance of a little girl from her mobile home. But when one of his own students stops coming to school, Ellis discovers that he may be the only person who even notices. The resulting quest leads him deep into the shadows and calluses of hillbilly noir in an attempt to solve the mystery of a missing kid … or two. THE BACK STORY: The book is a mixture of autobiographical elements from my first year teaching and a completely fictional mystery surrounding the disappearance of a student. 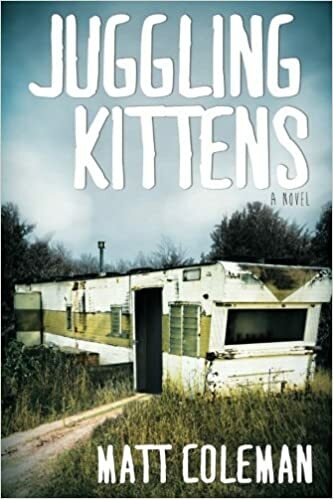 WHY THIS TITLE: Juggling Kittens was a reference I made in an essay years ago when asked to describe what it was like to teach seventh grade. WHY SOMEONE WOULD WANT TO READ IT: Anyone who likes bleak Southern Gothic landscapes and fish-out-of-water detective stories, but always wished they had a little more dark comedy will love it. There are elements of social commentary, coming-of-age, and buddy comedy woven in and out of an amateur sleuth mystery. 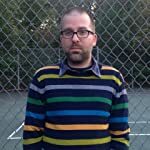 AUTHOR PROFILE: Matt Coleman works in the fields of writing and education. His short fiction has appeared in various journals and web publications. He also spent three years writing for The City Life Supplement, a comedy podcast. JUGGLING KITTENS is his debut novel. He has spent fifteen years in public education and is currently a school improvement specialist in Texarkana, Arkansas, where he lives with his two daughters, four rescued dogs, two rescued cats, and a fish who refuses to die. This excerpt is Chapter 3 from Juggling Kittens . It is also a fairly autobiographical account of my memory of 9/11. LOCAL OUTLETS: Available wherever books are sold. Matt Coleman. 178 likes. Author of JUGGLING KITTENS, 2016.